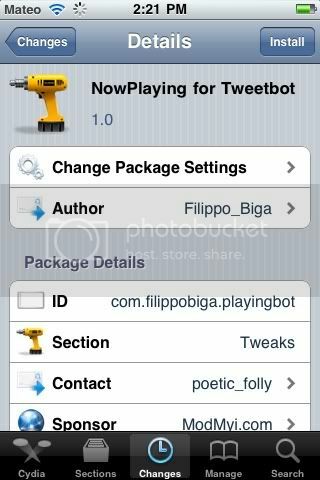 New tweak in Cydia, NowPlaying for Tweetbot, adds the "Tweet Playing Song" feature to the popular Twitter Client TweetBot, A New Button will be added in the compose tweet view: you only need to tap it and PlayingBot will automatically paste the name and the artist of the current song playing in the iPod app. Free in Cydia. Search for it.